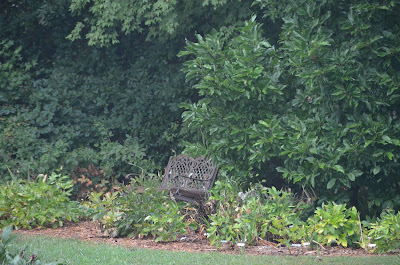 Well, we finally did get some rain for the peonies. We actually got almost an inch and half of rain. That rain gave the ground quite a good soaking. The extended drought we experienced definitely affected all of my peonies, some of them more than others. 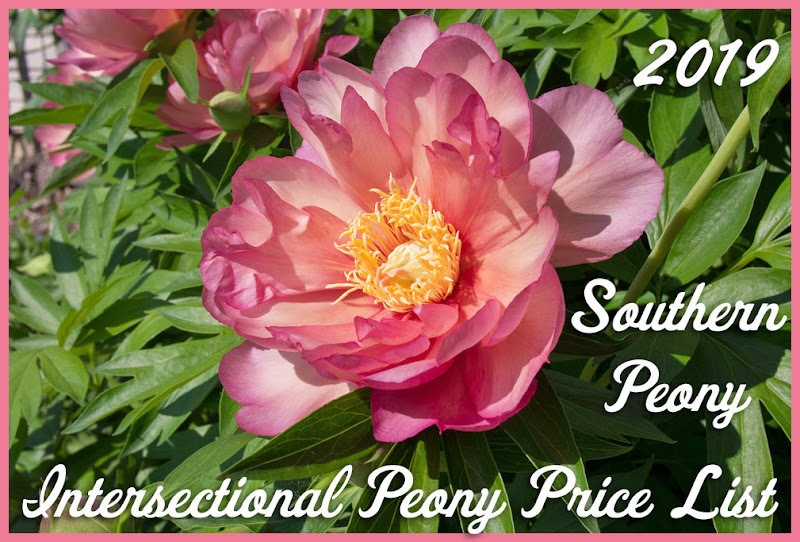 The peonies that were affected were young peony plants that are only 1-2 years old, peonies that are planted at the edge of a tree canopy, and smaller leaved peony varieties. 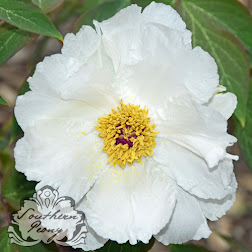 It also affected some established intersectional peonies in full sun. Peonies that are near competing tree roots and young peonies that are not yet established were affected the most. Most of those herbaceous peonies near competing tree roots that wilted have come back up now. A couple of them were so bad off some of the foliage actually browned and did not revive. A couple of the young plants dried up entirely for the year. If these are still alive (hopefully) they will come back next spring. The established intersectional peonies actually wilted in a different way. 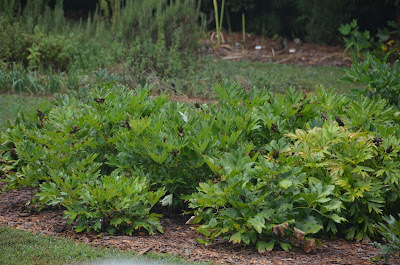 Some of the intersectional peonies' foliage turned sideways, almost upside down. After the rain, most of the foliage has righted itself. Fall is fast approaching. So let's hope this is the only drought my peonies will have to endure this year!